U. S. House, a record there. But the record for longest time served in any legislative body in United States history remains with Michael Kinney of St. Louis, who served in the Missouri Senate from 1912 until early 1969. Kinney succeded his brother, Thomas, known to his Irish gang friends as “Snake.” Kinney was the legal mind while many regarded Snake as an enforcer. For many years in the 1920s and 30s and into the 40s, Kinney, Casey, and Brogan–three Democrats–dominated the Senate. Michael Casey, from Kansas City, served from 1925-1944. 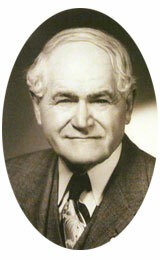 Joseph Brogan was from St. Louis and served from 1925 to 1940. Kinney was a soft-spoken man and in the days before the Senate had a public address system sometimes could not be heard well by colleagues sitting in a far corner of the chamber. In the days before the Capitol had air conditioning, so the story goes, blocks of ice were brought into the basement of the building and fans were set up to blow cold air from the ice through vents located beneath the desks of Senators (maybe the House, too,but the story we heard concerned the Senate) and some of the old timers including Kinney were sometimes seen wearing their long underwear at their desks even after the days turned hot in the Spring. Senator Richard Webster once related a story to this reporter that he remembered, as a young legislator, walking past Kinney’s office in the mornings and seeing the old man in a chair, his shirt off, being shaved each morning by his son-in-law, State Auditor Haskell Holman. Visible to those walking past the office was a scar in Kinney’s back, the result of an old gunshot wound. Perhaps his most lasting legislative accomplishment was the sponsorship of the bill in the late 1930s that established the Ellis Fischel State Cancer Hospital. Kinney escaped assassination in the 1920s during one of the gang wars between the Hogans and the Rats when he was shot several times at a railroad station. Although he denied knowing his assailant–although theman was only a few feet from him–he later identified the picture of an escaped mental patient as the shooter. There was doubt even then that Kinney was telling the truth. Webster related that Kinney never discussed the issue publicly although in after-hours buill sessions in his office, he did from time to time refer to the incident when somebody would ask whatever happened to a certain member of another gang. And Kinney would wistfully wonder,too, whatever happened to “a nice boy” like that. What happened, related Webster, was that the fellow’s body floated to the top of the Mississippi River several days after the shooting. Kinney was in his 90s, representing inner-city St.Louis, when he lost in the 1968 Democratic primary to an African-American candidate in a district that had become increasingly African-American in voter makeup. He already had been in the Missouri Senate for five years when Robert C. Byrd was born. His portrait hangs in the Senate Lounge today, a kindly grandfather figure who once was one of the most powerful politicians in the state and who, more than forty years after his last day in the Senate, still holds the record for most consecutive years served in one legislative chamber, state or federal.